The Project on Middle East Political Science is delighted to announce a call for proposals for Winter 2016-17 POMEPS Travel – Research – Engagement grants. The competition is open to academic political scientists at career stages from PhD students to senior faculty from any institution, and is not restricted to U.S. citizens or residents. Awards of up to $3,000 will be offered to support research travel to the broader Middle East. The research should be in support of an ongoing academic research project. Grant recipients are required to submit at least one article based on their research to POMEPS for possible publication on Washington Post’s The Monkey Cage. The proposed travel should take place between December 1, 2016 and March 1, 2017. POMEPS especially encourages proposals as part of the Islam in a Changing Middle East initiative. 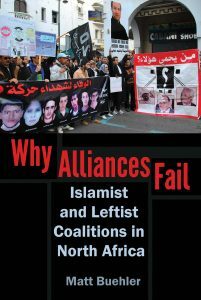 The Arab uprisings have created dramatically new opportunities and challenges not only for Islamist movements but also for the academic and policy communities that study them. Islam in a Changing Middle East seeks to support scholars in adapting to the deluge of new information and evidence. Interested candidates should submit proposals in one PDF file to Stephanie Dahle at pomepsgw@gmail.com by 5:00 pm EST, October 14, 2016. Preference will be given to individuals who have not yet received a TRE award from POMEPS.